This handy 2 drawer wooden chest is 16" (40.6cm) wide by 9.5" (24.1cm) deep by 2.25" (5.7cm) high. 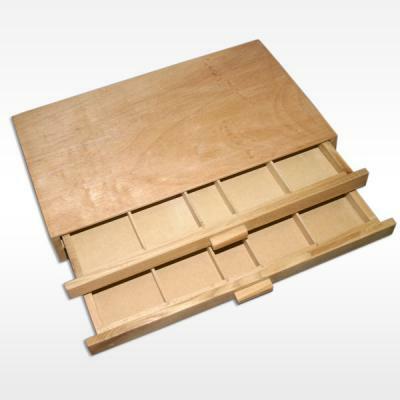 Each drawer has 5 compartments for pencils, paints etc. Ken Bromley's replies: I am sorry you are not happy your your purchase. If you ever buy anything you are not happy with you can always return the item if you let us know within 7 days.